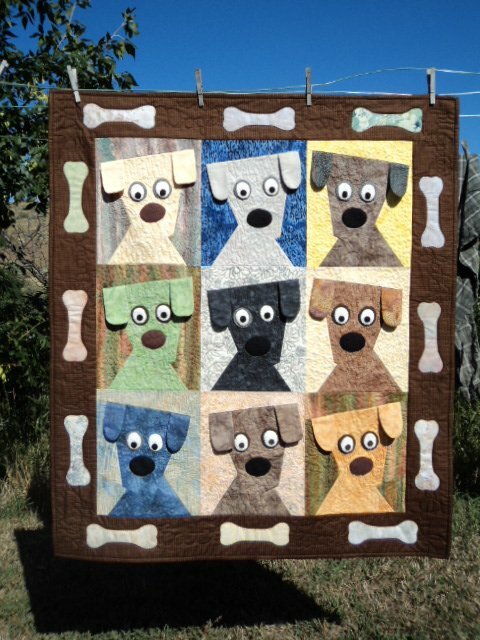 This Dog Daze Quilt Designed by Karen, The Pattern by Kimberly Rade for Fonsandporter, it's available for free. "I like to make kids quilts. This quilt was fun to make."